Larry C Kennedy has over three decades of experience in the federal and state regulatory arenas within privacy, health and education, gained primarily within the public sectors in Canada and Australia. This experience includes work as a health administrator, educator, policy specialist, privacy advisor and trainer. Larry has served as Canada’s representative on the Organisation for Economic Co-operation and Development (OECD) Privacy Group and as the Federal representative on the Federal/Provincial Health Information Privacy Group, providing privacy advice on the development of electronic health records across Canada, through Canada’s Infoway. Within the Canadian Federal Government, Larry has contributed to the development of Treasury Board policy on such topics as privacy impact assessments. He has been a member of a number of federal committees dealing with such issues as genetic privacy. Most recently he has provided input into the Office of the Privacy Commissioner of Canada’s 5 year strategic plan. 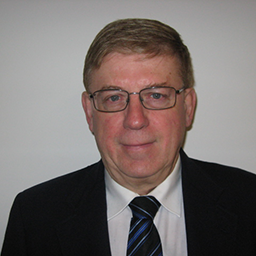 Larry is a native of the Ottawa Valley, but received his Bachelor of Science and teaching qualifications from the University of North Dakota and his Masters in Health Planning from the University of New South Wales in Sydney, Australia. He is an active member of the International Association of Privacy Professionals have received his IAPP/C and recently hosted 2 IAPP training sessions for privacy specialists within the Federal Government Departments and Agencies.